This is our brand new Orchestra soundpack. Well love it and almost don't use the factory voices anymore. From warm beautiful flutes to Lushes strings. This pack contains 15 High Quality sampled Orchestra sounds. Now also available for Tyros 3 and 4 keyboards! 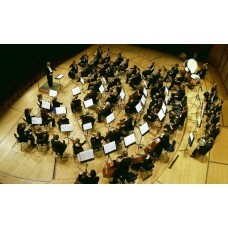 The Orchestra soundpack contains 15 high quality sampled sounds. You will love it. These sounds have the quality to use in professional recordings. That's why the Dutch Top producer Jurgen Kuppens has chosen the Tastensounds soundpacks to use in his new recordings.